Kael, the Bloodreaver. 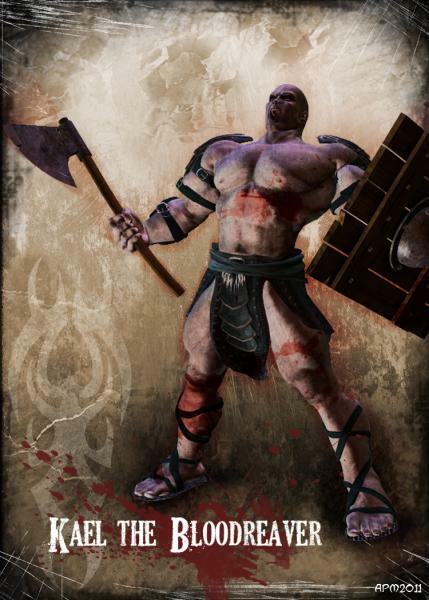 Died as a gladiator and was resurrected as a formidable undead foe. He absorbs the life force of his enemies via their blood. He wanders the lands under the twin suns of Telmar searching for the person who orchestrated his curse.